I am a big fan of Facebook and spend more time there than I should. But every now and then I run across a true gem and this is one. I do not know the author, but it touched my heart as it reminded me of the true meaning of life…Enjoy. 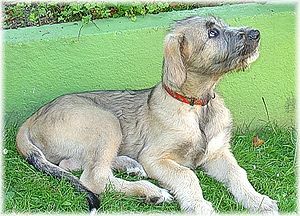 Being a veterinarian, I had been called to examine a ten-year-old Irish Wolfhound named Belker. The dog’s owners, Ron, his wife Lisa, and their little boy Shane, were all very attached to Belker, and they were hoping for a miracle. I examined Belker and found he was dying of cancer. I told the family we couldn’t do anything for Belker, and offered to perform t he euthanasia procedure for the old dog in their home. Take naps; Stretch before rising. Run, romp, and play daily. Lovely story, being a vet tech I don’t think there’ll ever come a day where it gets less hard, but this really is quite comforting. Oh how I love this post!!! Thank you! !